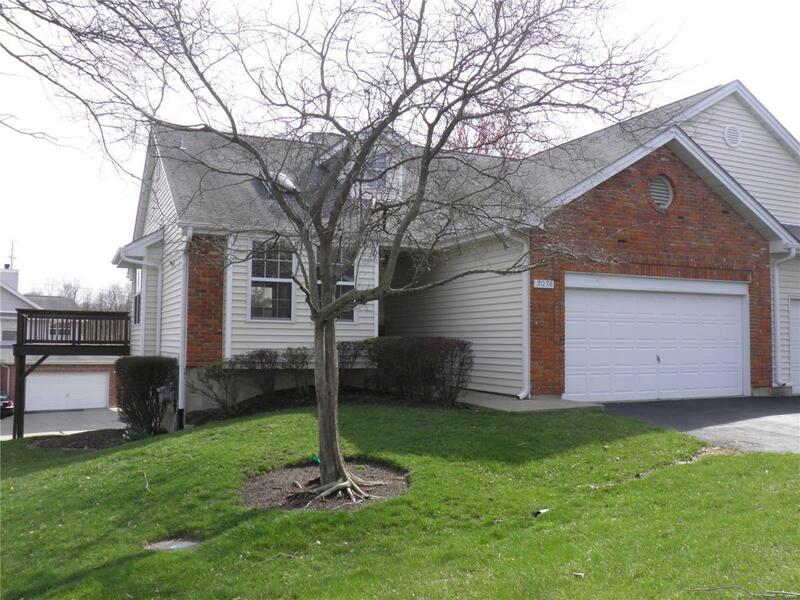 Move in ready Creve Coeur villa has fresh paint and new carpet. 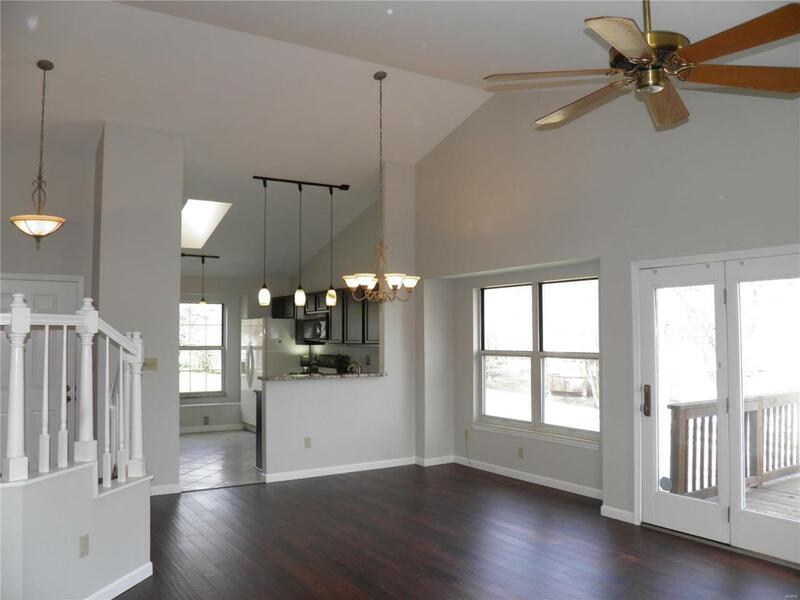 The open living room has vaulted ceiling, gas fireplace and newer wood floor. Kitchen/breakfast room has ceramic tile and offers a breakfast bar, gas range, dishwasher and refrigerator. Updated lighting in kitchen & living room. 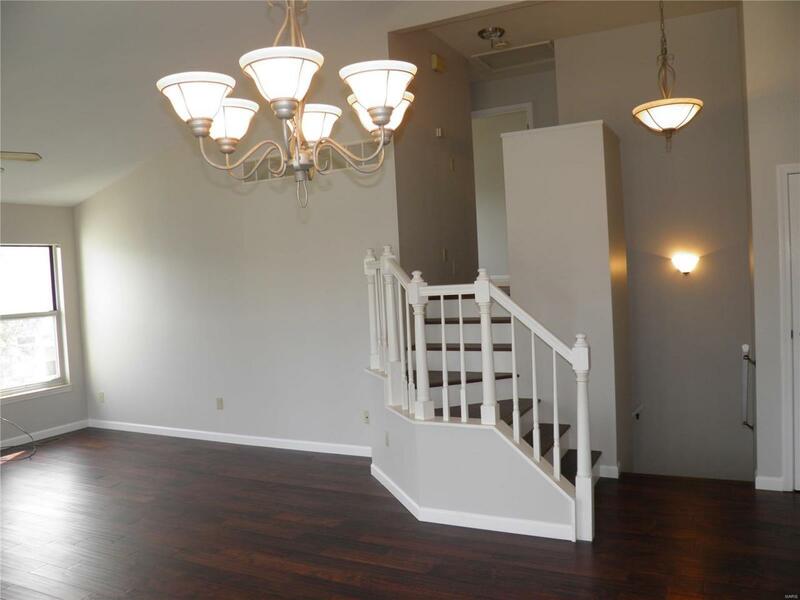 Master suite has a large walk-in closet, new carpet and bath with shower. Guest bedroom also has new carpet. 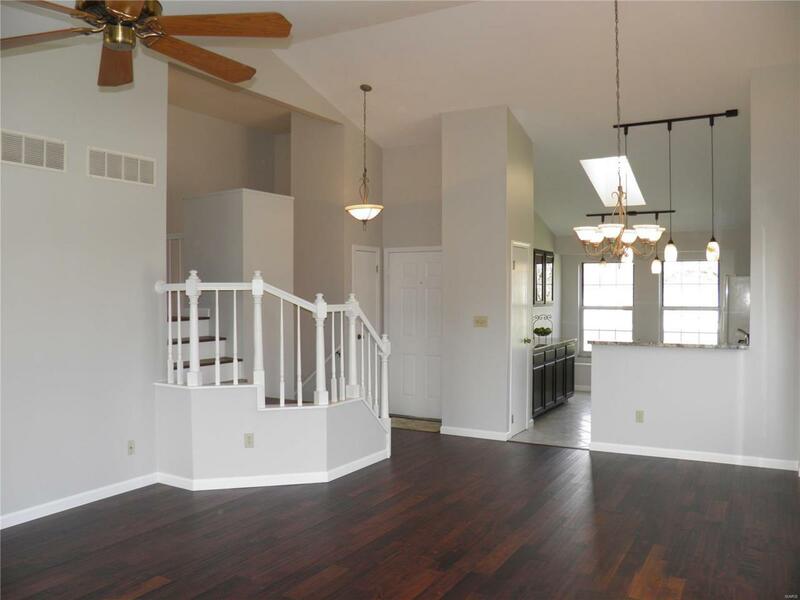 With just a few steps from the main living area, you enter the newly carpeted walkout lower level with family room, half bath and laundry room with storage area. There are 2 decks- one from the atrium doors in the living room to the side yard and the other from lower level patio door to the backyard. Home Protection Plan. Carefree living with no outside maintenance. Grounds well maintained with in-ground sprinklers. Polo Run subdivision pool and tennis courts.